Fears for party-goers being crushed made nightclub organisers stop the music at the 15th birthday celebrations for Circus in Liverpool. Revellers were caught up in over-crowding and some fans with tickets were not allowed into the space where the headline act, DJ Carl Cox, was playing, after the show was halted on Saturday night. The event, held at the Baltic Triangle’s Camp and Furnace, was disrupted as Circus organisers said a number of people gained access by pushing past barriers and doormen, resulting in too many customers. Circus offered “huge apologies” to those who were unable to get into the main room, but denied claims that the event had been over-sold. A statement by the party organisers said: “The show was sold within the limits of the venue capacity in agreement with the venue as it always is. Camp and Furnace regularly operates large scale sold-out shows of all genres and ticket allocations are agreed jointly with them on a show by show basis. John Rutherford, who travelled from London especially for the event, after having attended their Christmas party last year, said: “People were pushing their way through. We got to the middle and it was really hot, and even though Carl Cox is a legend and his set was amazing, many people were leaving due to the heat. With ticket prices up to £50 each, many disappointed fans took to booing during the event and complaining on social media afterwards. 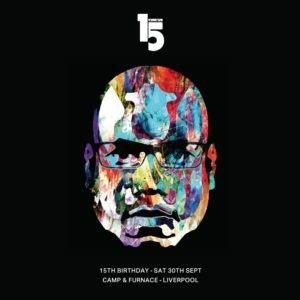 Liverpool Echo: Staff forced to stop DJ Carl Cox music event. Trip Advisor review: Music fan requests refund due to not being allowed in the building.